This vintage real photo postcard features of an art deco portrait of a beautiful mother and her adorable daughter. This postcard is French in origin and it has an art deco style. The photo postcard is likely from the 1920’s and highlights fashion of that time. The postcard is in excellent condition (see scans). This vintage real photo postcard provides a view of fashion sometime slightly after 1900. The ladies clearly dressed up for their visit to the photo gallery. Note the women’s wonderful large hats. Be sure to take notice of the large pins extending from the hat on the right. This postcard is printed on AZO paper issued between 1904 and 1918. 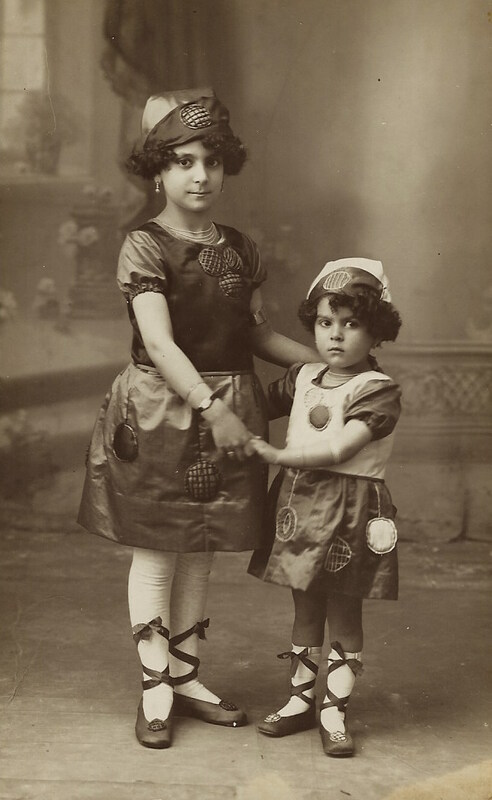 The two cute and gorgeously dressed girls featured in this vintage real photo postcard are presumably sisters. I am not sure how to best describe their dresses and hats so I will just label their attire as “unusual and interesting”. Hopefully, someone informed about fashion history, will leave a comment with further explanation. 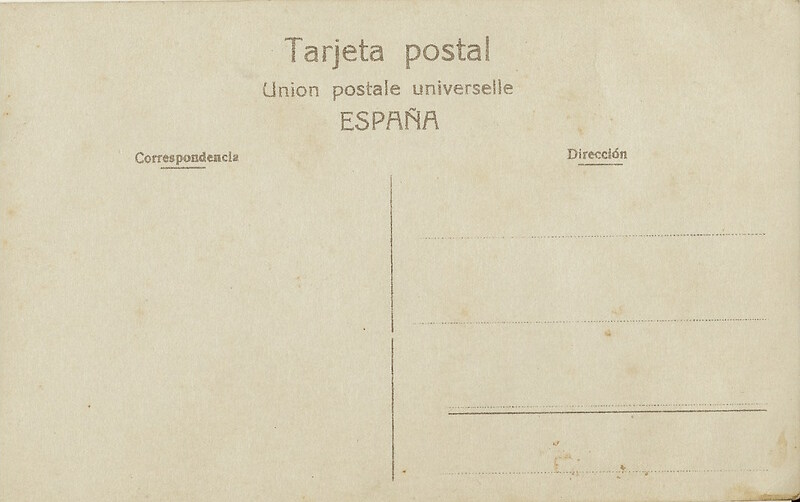 This photo postcard was produced in Spain. 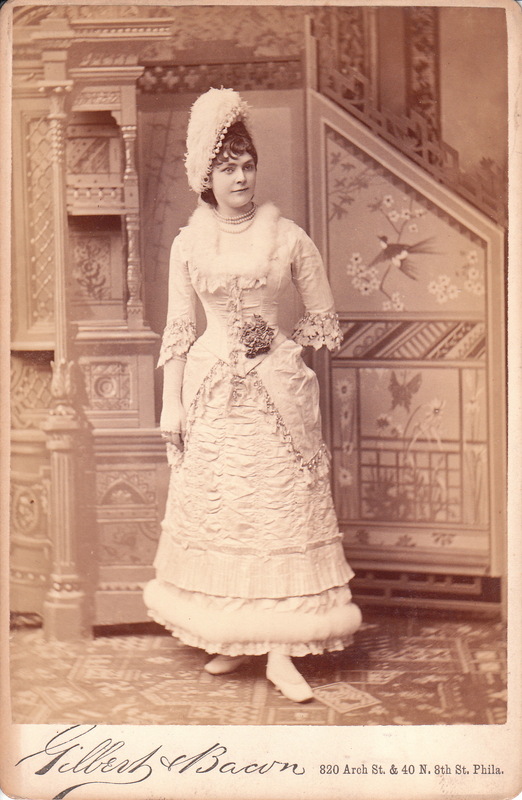 This cabinet card features a very fashionable lady, posing for her portrait at the studio of Gilbert & Bacon, in Philadelphia, Pennsylvania. The woman is identified as Mary Coley (her name is written on the reverse of the photograph). She looks great in her beautiful gown. Note the fur trim at her collar and near the bottom of her dress. She appears to be wearing pearls and she strategically placed her hat at just the right angle, in order to make some sort of fashion statement. This pretty woman may be an actress; Gilbert & Bacon were prominent theatre photographers in Philadelphia. However, research found no record of any actresses named Mary Coley. To learn more about the photographers of this cabinet card, click on the category “Photographer: Gilbert & Bacon”. 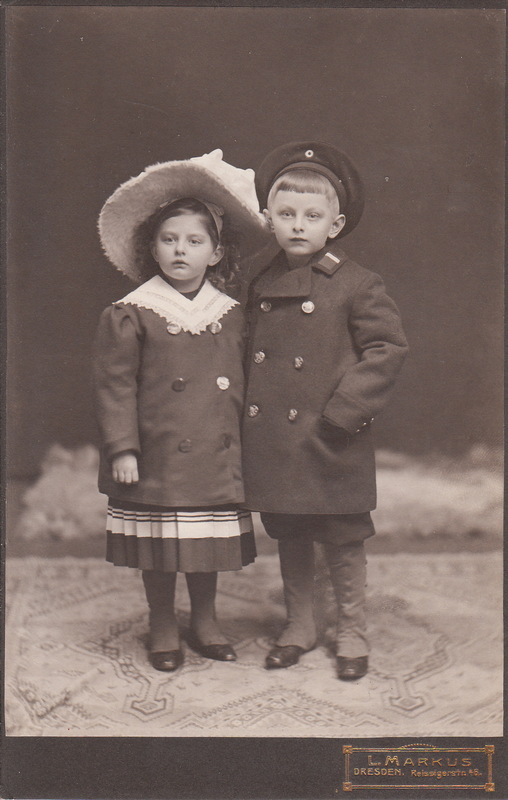 This image presents two adorable and extremely well dressed children posing for their portrait at the studio of L. Markus, in Dresden, Germany. They are dressed in the finest fashion for cool weather. Their mother appears to have had a great sense for what was fashionable in children’s clothing. The young lad’s outfit shows a nautical influence. 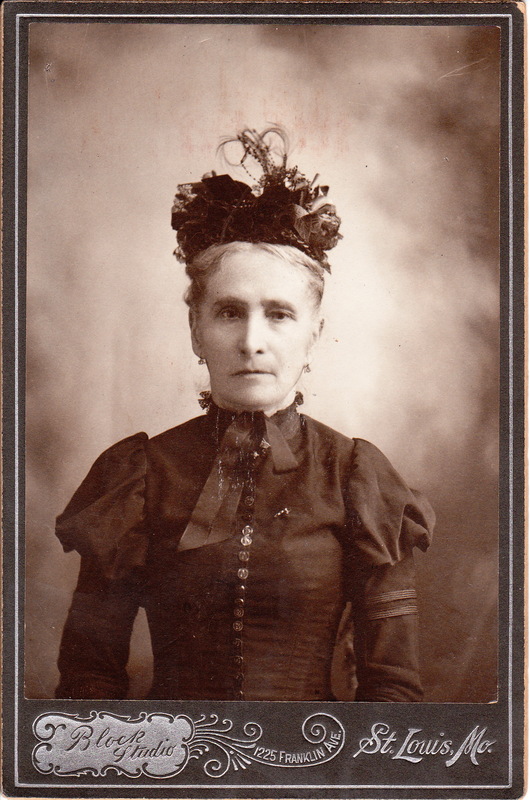 This cabinet card features a very fashionably dressed older woman posing for her portrait at the Block Studio, in St. Louis Missouri (1225 Franklin Avenue). The woman is wearing a very interesting hat that includes feathers and assorted other materials. She is wearing a pin and earrings. Research indicates that Louis Block worked as a photographer in St. Louis between 1900 and 1919 although he may have also worked there during other additional years.